Gabriella Burman knows firsthand the challenges, joys and tragedies involved with being the parent of a special needs child. In addition to her other children, Burman and her husband were the parents of Michaela, a child with Cerebral Palsy. Michaela was only five when she died suddenly in her sleep. The loss was devastating to Michaela’s parents and siblings, who had taken an active part in the special needs community ever since Michaela was diagnosed. A gifted writer and award-winning journalist, Burman channeled her grief into a collected series of essays, titled Michaela. The grief didn’t stop Burman’s advocacy efforts, though. Since then, Burman said, she and her husband “decided to commit ourselves to remaining a part of the special needs community” since “we were special needs parents first and want to continue to advocate for the needs of people with disabilities.” They were a part of the special needs community, and Burman did not see any reason to stop advocating and volunteering just because they had lost Michaela too soon. While dealing with the loss of Michaela, Burman also took comfort in the joys of raising her other two daughters. She also doubled down on her work for several charities in Metro Detroit. Burman started out as a volunteer for United Cerebral Palsy of Metro Detroit, and participated in that group for years. She continues to work with them still. Soon, she was tapped by MISILC Chair Robin Bennett to serve on the Council and was appointed to the Council by Governor Snyder. Burman finds her work with the SILC an extension of what she has been doing for years. “I felt like it was an opportunity to do what I’ve been doing locally,” she said, “to get a better survey of the landscape on the political and statewide level.” She is enthusiastic about the chance to take her knowledge and advocacy experience to a broader audience. Burman is dedicating her efforts to advocating for better work opportunities for people with disabilities, especially younger people. 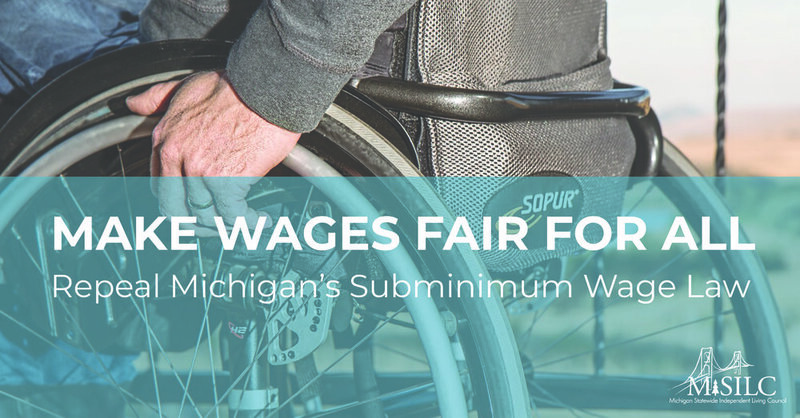 She wants to make sure that workers with disabilities can find the jobs they deserve and are qualified for “without having to sacrifice anything else,” Burman said. Crucial to those efforts, she finds, is getting the word out about all of the opportunities available and in development. For Burman, “anything I can do to get young people the jobs and the independence they deserve” is worth her efforts.